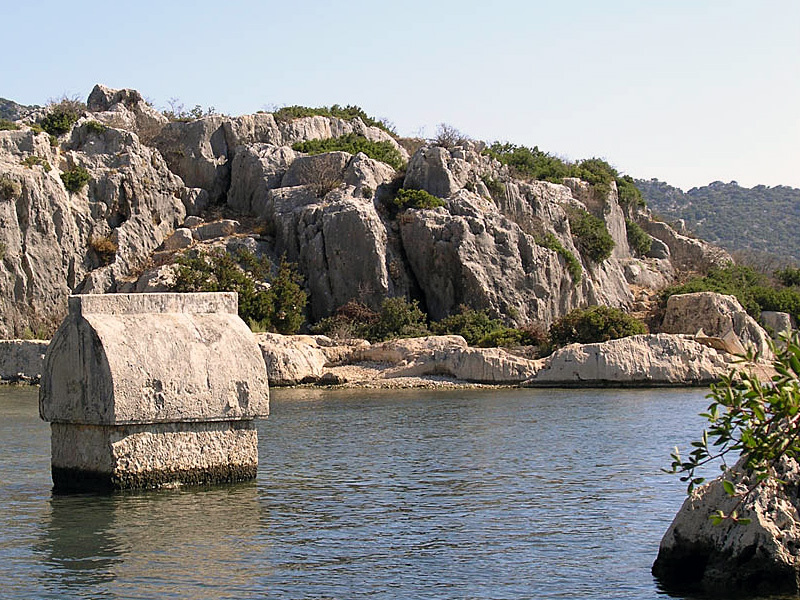 A myriad sarcophagi can be found along the Carian and Lycian coasts of Turkey. Especially Lycia is known for these early rock-cut tombs, the finest examples of which are to be seen at Kaunos, Xanthos and Myra. Some of the sarcophagi are now partially submerged when land retreated and can easily be reached by dinghy. Indeed, one of the best ways to explore these ancient coasts is by bareboat sailing holidays or by luxury gulet cruises, locally known as Blue cruises or Blue voyages. Gulets are usually fully crewed (chef cook, skipper/captain, hostesses, deckhands) and offer the most exquisite cruises possible. These boat trips are organised by several exclusive gulets companies from Bodrum and Marmaris.